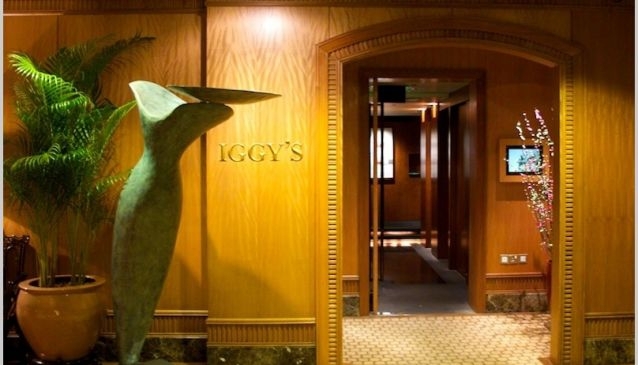 Iggy's is owned by award-winning sommelier and celebrity chef Ignatius Chan. Opened in 2004 at the Regent hotel, Iggy's was relocated since 2010 at the Hilton hotel in a stunning interior created by celebrated designer Chris Lee of Asylum Creative. Iggy's cuisine combines ideas and ingredients from Europe, Asia and Australia to produce exquisite dishes that lift gastronomy to unparalleled heights. Some affordable menus are available at lunch time- 2-course Set Lunch Menu at S$65++ and 3-course Set Lunch Menu at S$85++. And if you wish to experience most of Iggy's culinary art go for the Tasting Menu at S$150++ or Gastronomic Menu at S$275++. Although the A La Carte Menu also includes vegetarian dishes, vegetarian and dietary menus can also be crafted upon advance notice. Iggy's was recently voted No.12 at the San Pellegrino Asia's 50 Best Restaurants 2014.